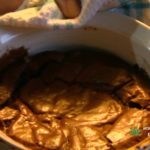 Are you wondering how to make Easy Cannabis Brownies ? We have you covered with a bachelor style recipe right out of a box! That's right... RIGHT OUT OF A BOX! If you don't have any cannabis oil on hand, Elijah will be showing you how to make oil from your ABV (Already Been Vaped Bud). Watch the video below! This cannabis brownie recipe has you covered, simply follow the step-by-step instructions below.